I've dragged this hooded sweat shirt around since 1985. I haven't been able to wear it since 1992. It's not that I've gained weight. I have. 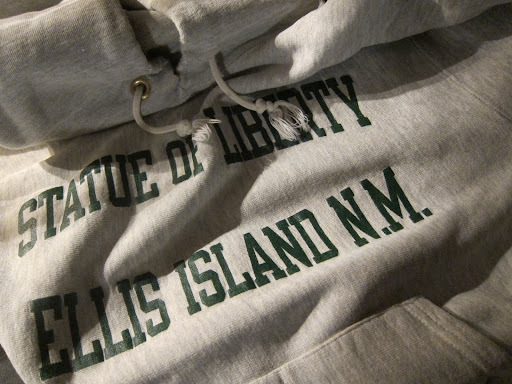 And like the weight I've packed on -- this sweatshirt is witness to years of change -- In myself and in my closet. I wore this sweatshirt on a date in Philadelphia one night. Under a leather flight jacket with skin tight 501s and Timberland work boots. I complained to my date, later my wife, later my ex-wife, that I had been hit on by two gay men on my way to pick her up. She looked me up and down, arched an eyebrow and said, "Maybe it's the way you're dressing." A lotta oxford has flowed through the closet since 1986. What I swore I would never wear: bow ties, double breasted blazers, suede shoes, club collars...not only reside in my closet but fit as well. My sweatshirt looks on. No longer worn. Not because it's too small, but because it isn't who I am anymore. A medium. My closet has some great clothes that I still love but never wear. Great Columbia mountaineering boots, fishing shirt, and a really nice looking suit and cashmere pants. I kid myself I will have occassion for any or all of these things again one day, but that day hasn't come for quite some time. nor has the occasion for plaid pants presented itself... ever. I have the same sort of nostalgia for my Champion reverse weaves that a lot of guys have for their Brooks OCBDs. No matter how much progress I make toward sartorial respectability, I don't think I'll ever be able to give up on them. There is shortage of good old clothes from my younger, smaller days that I saved thinking that they could be passed on. In my youth I benefited from having a few treasures passed on to me by older family and saw fit to continue the cycle. Now that I am old enough to wear them convincingly, I regret not paying more attention and respect to my grandpa's collection of bow ties. Your Park Ranger would tempt me to have the letters cut out one by one or maybe in panels and sewn on to another, larger version. You should still wear it and enjoy it. Sure, it would look hipster on someone who hadn't been there and done that, but that isn't you. Trad IS as The Trad DOES. I can't believe you still have that sweatshirt! I still have mine also. I actually wore it last winter. It is almost too heavy to wear most of the time. Hope your trip to the statue went well. Give a call next week if you get a chance. TC, I too love the Champion sweatshirts (for example those coveted ivy league sweatshirts that say "Harvard" or "Princeton") I wish my school's graduate program carried one and I've gone so as far to ask the school gift shop manager to order a batch to no luck. I wear my father's Princeton 50's era Champion sweatshirt with pride...despite it's tattered sleeves and tiny holes. It's a staple in my wardrobe and has been since I saved it from the neighborhood tag sale it was destined for despite my Mom's rantings..."you want that ratty old thing??" Tony - I've done the exact same thing and gotten the exact same result. I know they would sell well, so i don't get it. Barnes & Noble took over the operations of many college and university bookstores. They evidently don't like the classic 80 cotton/ 20 poly reverse weave college sweatshirt, as most are now stocking the same UnderArmmor or JanSport crap. Some may have 50/50 sweatshirts at best. Also, this style of sweatshirt is now almost universally referred to as a "hoodie"- agggghhhh. I think you should send it to me and I will alter it to fit me in a comfy chic sorta way?! 'What I swore I would never wear...' Now there's an interesting subject for a post or two. Tasseled loafers would be my shameful confession,though I plead in mitigation that I shall never wear monk shoes, single or double, with or without socks; they are without doubt the scoundrel's shoe of choice. Nor will I ever like Frank Zappa. Zamboni is a medium (in both senses of word) and will pay for shipping! 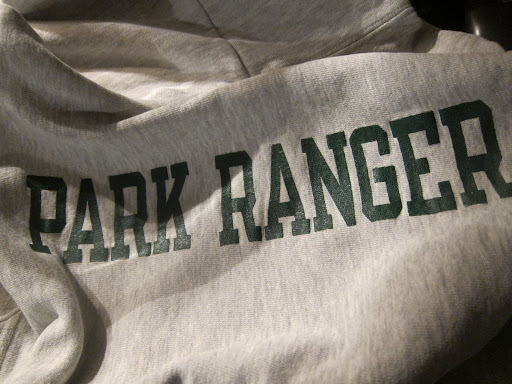 Would love to hear more about your park ranger days. Speaking of beloved gear - does anyone have any recommendations on where to get a 1950's letterman jacket repaired? I have my father's and would like to spruce it up a bit. I keep my must-save-but-will-never-wear items in a special drawer, so they don't get jealous. Do Yogi and a picnic basket come with that cute sweatshirt? Smiling. When I saw the photos of the car and the street fair, it made me think of the most recent Woody Allen flim, Midnight in Paris. Just saw the film at The Charles Theater here in Baltimore where the popcorn is yummy, films are amazing and parking is only $2.00. I will also add that the theater is flanked by a tapas restaurant on one side and a crepe carry out on the other. God I love Balitmore! 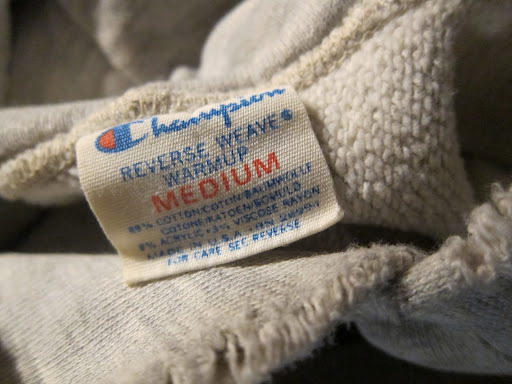 Have two heavy cotton and one wool Ralph Lauren cardigan sweaters from the mid-1980s somewhere in a box. They were featured in those classic Ralph Lauren ads with the 1980s male supermodels (when there was such thing). Would seem odd to wear them today even though they are in great shape. It's just who I am anymore. Anyone remember the 80s brand "Camp Beverly Hills?"